In Commonwealth v. Dorelas, Massachusetts court rules a warrant for any data is a warrant for all data. This case and others like it potentially have impacts far beyond cellphones. name and telephone number, contact list, address book, calendar, date book entries, group list, speed dial list, phone configuration information and settings, incoming and outgoing draft sent and deleted text messages, saved opened, unopened draft sent and deleted electronic mail messages, mobile instant message chat logs and contact, information mobile internet browser and saved and deleted photographs … [as well as] information from the networks and carriers such as [his] information, call history containing use times and number dialed, called, received and missed. In other words, because two guys said that Dorelas received text messages and calls that might be relevant, the police were permitted to search almost every kind of data the phone contained. Some of the photographs showed Dorelas holding a gun, resulting in him getting charged with several firearm-related offenses. After the trial judge permitted the photographs to be presented in court, Dorelas’ counsel appealed this decision, arguing that the evidence did not support the search of the photographs on his phone, as the statements given to police only identified threatening phone calls and texts. Quite frankly, Dorelas’ attorneys could have gone on to point out that almost everything else searched on the phone was unsupported by the statements given to the police, but it wasn’t relevant to the evidence they wanted to suppress. In July 2015, the case was still pending, although I expected a decision soon. However, the Massachusetts Supreme Judicial Court took an unusually long time to consider and weigh the merits of the case. Unfortunately, the justices did not use that time wisely. In the decision, which was released in January, the Supreme Judicial Court ruled that the warrant was constitutionally granted because electronic communications “can come in many forms” and the issuing judge “could conclude that the evidence sought might reasonably be located in the photograph file,” despite the fact that the only evidence supporting the search of the iPhone was testimony that referenced phone calls and texts. Equating texts and phone calls with all electronic communications is a huge expansion of those forms of evidence and grants broad discretion to police to search all the data on a phone as long as there is evidence suggesting that any data on the phone could be related to criminal activity. Think of this scenario: Massachusetts police obtain evidence suggesting that Bullwinkle was making calls on his smartphone to buy from Rocky, who trades in nutty controlled substances. Strictly speaking, that evidence supports only a warrant to search Bullwinkle’s call log and voicemail. But under the Dorelas ruling, the police can apply for and should receive a broad warrant to search everything on the phone: emails, text messages, Internet usage, video, photographs, nut database, location, etc. That is a much more invasive search. This case and others like it potentially have impacts far beyond cellphones, as it seems likely that courts will rely on them when considering the search of driverless cars in the future. A warrant to search your car for data concerning where you’ve driven in the past week could permit the police to search your car for all the data contained in the vehicle. This could include information about all of your driving since you bought the car, who was in your car, and (depending on the features) Internet activity and emails. 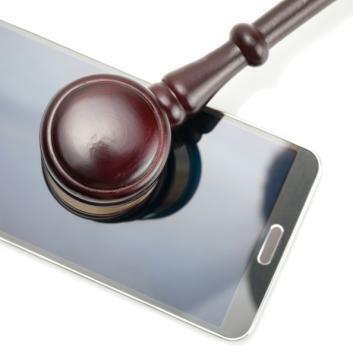 The Massachusetts decision only applies in that state, and courts nationwide have struggled with drawing clear standards for warrants to search smartphones, leading to inconsistent application of the Fourth Amendment. Eventually, the Supreme Court will accept a case addressing this issue, providing a national standard for warrants to search our phones. Hopefully, the justices are able to distinguish between some of the data and all of the data they contain.